Do you want to give gifts and give back at the same time? This season, there are many ways in which you can do this. From businesses that donate a portion of sales to a charity to nonprofits that sell products made by those in need, your giving can impact more than the person who is the beneficiary of your gift. Give the gift of time. If you haven’t visited your grandparents or parents lately, plan to spend a day with them. In addition to your own family, there are many who would benefit from your presence. Volunteer at a local hospital, retirement community, or homeless shelter. Visit an elderly neighbor. Give a gift to charity. Choose a cause that matches closely to the interests of the person to whom you are gifting (or select one that matters most to you) and give what you can in your recipient’s honor. Buy gifts made by individuals in need and sold by organizations that support them. 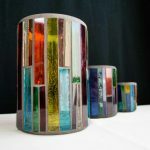 Year round, Piece by Piece has a selection of mosaic crafts for sale that are created by artisans who live in Skid Row and South Los Angeles. The Downtown Women’s Center sells artisan home goods — candles, soaps, and more — that are handmade by women overcoming poverty and homelessness. Buy gifts for which a portion of the purchase price is donated to a worthy organization. 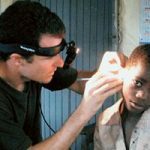 When you buy Vibes high-fidelity earplugs, proceeds from each pair purchased support Hear the World Foundation, which helps hearing aids, surgeries and programs for the hard of hearing around the world. 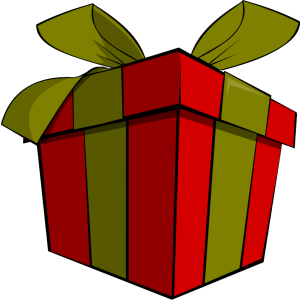 Need more ideas to gift and do good? Click HERE. This entry was posted	on Sunday, December 18th, 2016 at 6:28 pm	and is filed under news. You can follow any responses to this entry through the RSS 2.0 feed. Both comments and pings are currently closed.